It's not just the beginning of spring. It’s also National Clean Out Your Medicine Cabinet season, according to Consumer Reports. One-third of Americans have not purged their medicine chests in over a year—and those aging, unchecked medications can become hazardous to your family’s health. Here’s how to your medicine cabinet up to speed in just a few simple steps. There’s a good reason the U.S. Food and Drug Administration requires expiration dates on prescription and over-the-counter medications. Some drugs become less effective over time, due to changing medical composition. If you take an expired antibiotic and it fails to treat your infection, you could become even sicker. Worse yet, according to the FDA, certain medications are actually at risk of bacterial growth. Fact check: if you think you’re ill enough to consider taking an old medication, you need to see your doctor instead! Don’t flush medications down the toilet—they can harm the water supply. Similarly, don’t throw them in the garbage. Many municipalities and pharmacies offer free prescription turn-in programs; do a little research. If your community doesn’t offer a year-round program, the DEA has designated April 28, 2018 as National Prescription Drug Take Back Day. Find a drop off site, remove your contact information from all bottle labels, and discard those old meds safely. Here’s an unsettling statistic: it’s estimated that 40% of visitors peek into their host’s medicine cabinet—and some help themselves to the contents. If numerous people—guests, kids, babysitters, housecleaners, service technicians—have access to a particular bathroom in your home, rethink storing prescriptions there (keep reading!). The opioid epidemic is real, and many a drug abuser has gotten his or her start by lifting prescription opioids from the family medicine cabinet. About half of teens who abuse prescription painkillers admit to getting them from their parents’ homes. For the record, common legal opioids include oxycodone (OxyContin®), oxycodone and acetaminophen (Percocet®), hydrocodone (Vicodin®), codeine and fentanyl. There is a perception that these are somehow safer to use than illegal opioids like heroin. However, there is also a long list of people—including celebrities like Marilyn Monroe, Judy Garland, Tom Petty, Prince and Michael Jackson—who died from prescription drug overdoses. So lock up those opioids, along with other tempting drugs like ADHD prescriptions and anti-anxiety meds, no matter how secure your medicine chest seems to be. · Store all first aid supplies together in an easy-to-access place so you can respond quickly to minor household cuts and scrapes. · Keep toiletries and medications separate—it’s easier to find what you need quickly. · When acquire new OTCs, make sure they have an expiration date. If not, mark the purchase date on the box so you can track it. 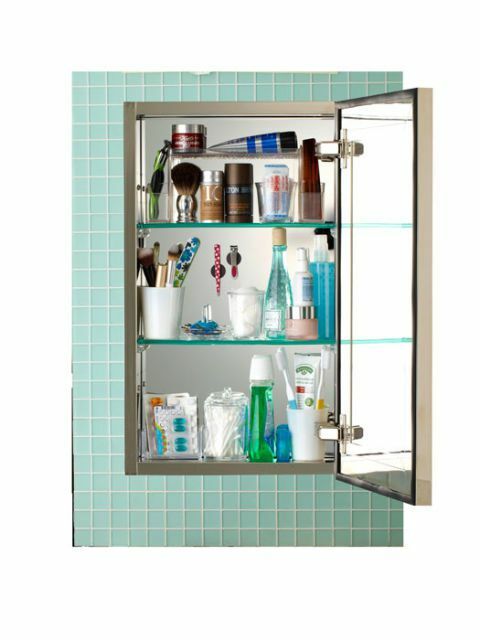 · Plan on making your medicine cabinet clean-up an annual rite of spring!